1.0.1 What is Rogaine Foam? 1.0.2 What are the differences between the Foam and Solution? 1.0.3 How to apply Foam? 1.0.4 How does the Foam work? 1.0.5 What are the possible side effects of Rogaine? 1.0.6 Can women use Rogaine Foam? Minoxidil is the only available topical solution approved to treat hair loss. The main active ingredient in Rogaine Foam is minoxidil. It is used to stimulate hair growth and help slow hair loss. When did Rogaine Foam first come available? In 2006 Rogaine Foam 5% is launched for sale over the counter. Unscented Rogaine Foam 5% became available in 2011. What are the differences between the Foam and Solution? Both products contain minoxidil the active ingredient known to regrow hair. The main difference is Rogaine Foam is very similar to a hair mousse and the topical solution is liquid. 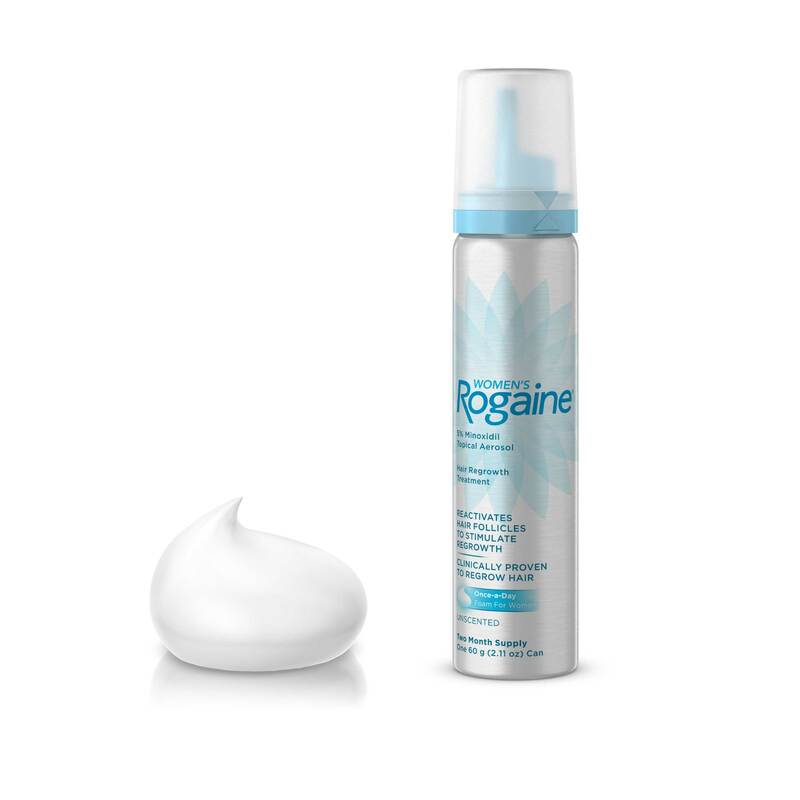 Rogaine Foam being easier to apply is gently massaged into the scalp while the topical solution is applied with the supplied applicator. Rogaine Foam does not contain propylene glycol which can dry out the scalp, while the topical solution does. If you have skin irritation when you are using the Rogaine topical treatment then you could try switching to Rogaine foam. 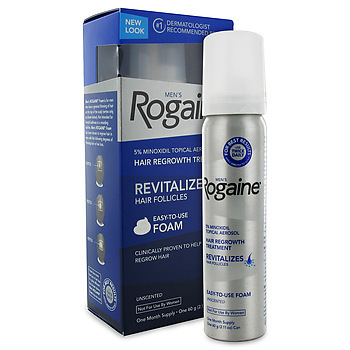 Rogaine Foam should be used only as directed on package to maximize results. Apply twice a day to the required area. Gently massage the foam into your scalp. Do not wash your scalp after application until the Foam is completely dried. How does the Foam work? The exact reason Rogaine Foam works is still a bit uncertain. Researchers think Rogaine actually works by helping to enlarge the hair follicles thus helping to reverse the miniaturization process. What are the possible side effects of Rogaine? The most common known side effect is drying of the scalp which is much more common using topical solution compared to Rogaine Foam due to the propylene glycol in the topical solution. If this does occur, you can simply stop using the product and any irritation should just disappear. Can women use Rogaine Foam? Yes, Rogaine has a different product specifically for women called Women’s Rogaine Foam. Launched in November 2014 it is a 5% Foam for women. Clinical studies show that with once daily use of Women’s Rogaine 5% Minoxidil Topical Aerosol for 24 weeks.